All signs indicate that the moribund peace process has now formally collapsed. Few Israelis will be surprised. The Obama administration was repeatedly cautioned that pressurizing of Israel and appeasing the intransigent Palestinians would only result in greater demands on Israel. That is precisely what happened. After Israel succumbed (unwisely, in my opinion,) to US Secretary of State John Kerry’s pressure to release 100 mass murderers in order to “bribe” the Palestinians to merely agree to negotiate, what did we get in return? 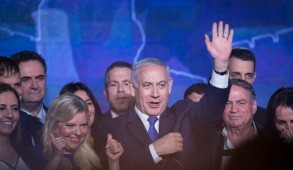 The Palestinians immediately demanded that Israel consider the unauthorized offers extended to them by former Prime Minister Olmert (which they had rejected), as an opening benchmark for negotiations. Throughout the entire “negotiating” period, the Palestinians refused to make a single concession. Instead, they intensified incitement against Israel by hailing the released mass murderers as national heroes, providing them with pensions and glorifying their ghoulish murders on PA controlled television. This month the Israeli government became exasperated when, after having refused to make a single concession, the PA announced that they would not extend negotiations beyond April and would revert to the United Nations. 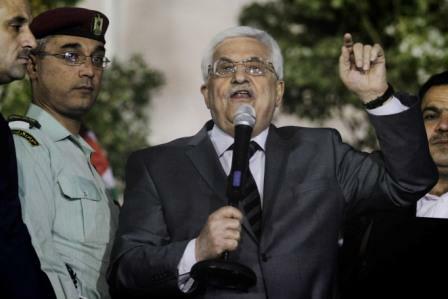 Pointing out that the release of the terrorists was scheduled as a process to be executed in stages to ensure a quid pro quo and progress in ongoing negotiations, Israel announced that it would not release the final batch unless PA Chairman Abbas undertook to continue the talks. Desperate to save face, Kerry attempted to bribe the PA with further concessions in order to persuade them to continue “negotiating”. Israel would release another four hundred prisoners (not with blood on their hands) and there would be an unspecified freeze on building construction beyond the green line (excluding Jerusalem). To make it difficult for right wing coalition members to oppose the deal, Kerry included the release of Pollard. The Palestinian response was to apply to join 15 international conventions, some of which were associated with the UN – a fundamental breach of the Oslo Accords. 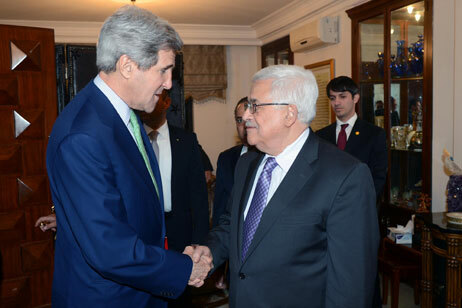 When pleaded by Kerry to halt these applications, Abbas responded that he would rather die as a martyr than do so. Subsequently, the PA mocked the US by escalating their demands to the most outlandish proportions. These included outright acceptance of the 1949 armistice lines as the final borders – which would mean relinquishing the Western Wall and East Jerusalem Jewish suburbs; a freeze on construction over the green line including east Jerusalem; the release of 1200 additional terrorists including Marwan Barghouti and Ahmad Saadat (the assassin of Minister Rehavam Ze’evi); extending immediate Israeli citizenship to 15,000 Palestinian refugee families under the right of Arab return; and, to top it off, “lifting the siege of Gaza”. 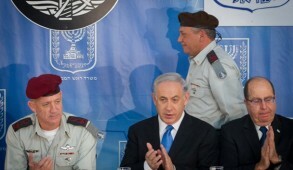 For the first time on such an issue, the left and right of the Israeli government responded with one voice. Tzipi Livni, Israel’s negotiator at the peace talks is hardly a hawk. 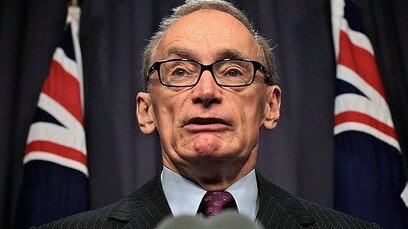 Yet she accused PA of breaching undertakings and questioned their good faith. After a stormy seven hour meeting with Saeb Erekat, who at one stage threatened to charge Israel at The Hague with war crimes, Livni stated that there was nothing more to discuss until the Palestinians withdrew their applications to affiliate with the 15 international conventions. Regrettably, she could not resist subsequently blaming Minister for Housing Uri Ariel for “sabotaging” the talks, by reissuing tenders for 700 housing units in Gilo, an exclusively Jewish suburb of east Jerusalem. Minister Yair Lapid also protested that Abbas engaged in a “deliberate provocation aimed to blow up the talks”, making it impossible to move forward and “raises serious doubt whether he is genuinely interested in reaching an agreement”. The American response was pathetic. Initially Kerry suggested that the PA application to affiliate to international organizations was not necessarily a fundamental breach of the Oslo accords. Then, as he realized the need to cover himself from the catastrophic fallout from his inept intervention, he resumed his old and discredited routine of applying moral equivalence to the actions of both parties. He thus accused Israel for being provocative in announcing building construction in Gilo – a Jerusalem suburb which everyone is aware will always remain within Israel. The White House also described Israel’s delay in releasing the last 26 prisoners as “problematic”. So far, Prime Minister Netanyahu has remained silent in order not to be blamed for exacerbating the situation. 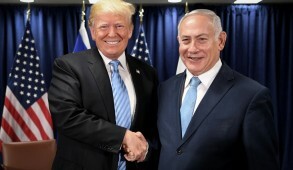 But once it becomes clear that no further negotiations with the Palestinians will take place, it is imperative that our Prime Minister marshals all our resources to ensure that the United States and democratic countries are confronted with the facts. The Foreign Ministry will need to prove its mettle by galvanizing a major global initiative to promote Israel’s position, ensuring that our ambassadors launch a full scale campaign and actively invite support from Jewish communities and friends of Israel everywhere. The message to be conveyed is that the majority of Israelis wish to separate themselves from the Palestinians and were willing in the past to forfeit over 90% of the territories occupied by the Jordanian government prior to 1967. Israelis yearn for peace and are willing to negotiate with a reasonable partner who must also be willing to make compromises and accept Israel’s need for security in this volatile region. 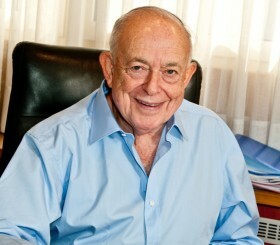 We must demonstrate the Palestinians unwillingness to concede on any issue – notably their adamant insistence that they will never deviate in relation to the three critical elements which are fundamental to any stable relationship and genuine coexistence: the right of return of Arab refugees, a willingness to accept an end of conflict and recognition of Israel as a Jewish state. The obvious must be reiterated. It requires two parties to make peace and that further unilateral concessions merely provides an incentive for the Palestinians to make increasingly more outlandish demands. This is not merely the response of the duplicitous Abbas who is weak, corrupt and fears antagonizing Fatah. It is because the end of Jewish sovereignty assumes a far greater priority to the PA than their own statehood. Indeed, Abbas has repeatedly stated that he has no intention of retiring from office as a traitor by compromising Palestinian central objectives such as the right of return. The Palestinians are now convinced that, their objective of dismantling Israel in stages can be achieved. 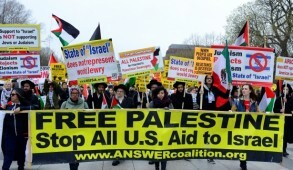 They will initiate an intensive global campaign to condemn, criminalize, delegitimize and boycott us. The combination of Islamic states, Third World, and rogue states guarantees a permanent hostile majority against Israel in all UN institutions. The condemnation of Israel this month by the UN Human Rights Council on issues including alleged breaching the human rights of Arab citizens in the Golan (the Europeans abstained) says it all. We need the support of the American public and Congress to discourage the Obama Administration from abandoning us and ensuring that the Palestinian campaign is restricted to empty resolutions. We need to confront the bias, prejudice and political correctness and encourage global leaders to take a position and not opt for the easy way out and distance themselves from us. We have real grounds for concern that the Obama Administration may stand aside, fail to employ their veto power at the UN Security Council and unofficially encourage the Europeans to coerce us toward further unilateral concessions. Today, on this issue we speak with a united voice encompassing the vast majority of Israelis and call on global leaders to be responsible, overcome their traditional bias, prejudice and political correctness and deviate from the easy path of apportioning equal blame for breakdowns on both parties. This is not merely manifestly unjust but makes the possibility of moving towards a settlement even more remote. In particular, this represents the most important challenge to the American Jewish leadership who must determine whether they are going to stand up and be counted or bury their heads in the sand. This is not a time for ambiguity or exclusive reliance on silent diplomacy. Hopefully, as proud American Jews they will not feel intimidated and should the US apportion equal blame or hold us responsible for the breakdown, they will display the courage to confront the Administration. On our part, we should make it clear that we do not intend extending further concessions to bribe the PA to negotiate with us. We remain willing to negotiate for the creation of a Palestinian state without preconditions. When the Palestinians signal willingness to conducting bona fide negotiations, we will respond positively and again demonstrate a willingness to make sacrifices to achieve a genuine peace.